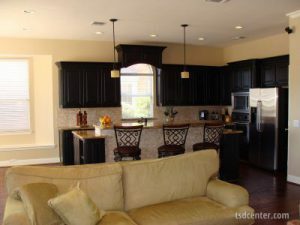 If the kitchen in your Allen, Texas, home is outdated or too cramped, it might be wise to invest in a kitchen remodel. By doing so, you can transform your kitchen into a beautiful and functional space that has been customized just for you. For example, you can enlarge the space so that it’s easier for you to entertain as well as cook fun recipes with loved ones. You can also knock down a wall or two to create an open floor plan. Additionally, you will be able to replace your cabinetry, countertops, backsplash, flooring, lighting, and other features with modern ones that better reflect your style and meet your needs. In addition to enhancing the look and practicality of your home, a kitchen remodel can also add to the overall value of your property. What’s more, a renovated kitchen can be a great selling point, as homebuyers often prefer an updated kitchen. This means that having a remodeled kitchen could help you quickly sell your home when the time comes to put your house on the market. For the kitchen of your dreams, turn to the reliable experts at Star Home Remodeling. We have been updating clients’ homes since 2007, so you can rest assured we have the experience required to best assist you. As skilled, full-service remodelers, we are able to take care of all aspects of your kitchen renovation. From creating a stunning design and helping you select the best products for your remodeled space to handling the construction, we can do it all. To get one step closer to enjoying the kitchen you’ve always wanted at your Allen home, contact Star Home Remodeling today. When you do, we’ll be delighted to answer any questions you have about the kitchen remodel we can complete, and we can schedule you for a consultation at your home or our showroom.